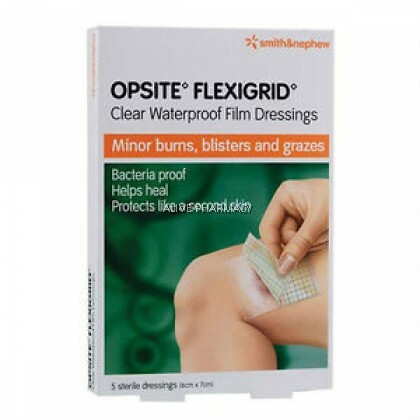 OpSite* Flexigrid* is a transparent, adhesive film, with a unique wound measurement grid. The film is moisture vapour permeable, conformable and extensible. It is clinically proven to provide moist wound healing for superficial wounds; it is also ideal for use as a secondary dressing and to help prevent pressure sores.